Most fabrics are woven in two dimensions — the X axis (length) and the Y axis (width). 3-D woven fabrics include weaving through the thickness, or the Z axis. This produces complex, single-piece structures. 3D weaving benefits include weight reduction, elimination of delamination, reduced crack risk, lower production time and cost reduction. 3D weaving is an emerging technology that offers a variety of benefits over both 2-D composite production and more traditional building materials, like steel and aluminum. 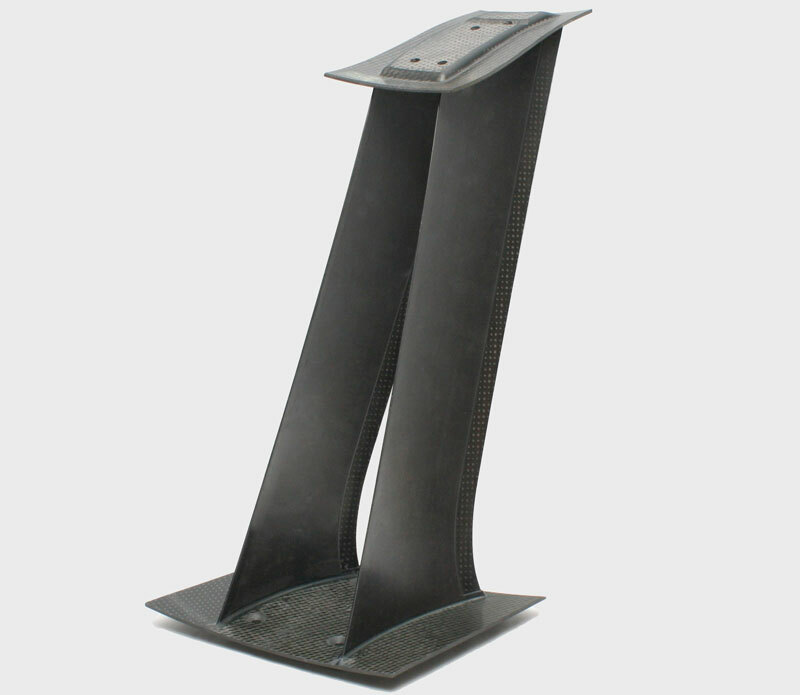 The key benefits include weight reduction, elimination of delamination, reduced crack risk, lower production time, and cost reduction. Weight reduction: 3D woven composites are drastically lighter than metal structures. This is particularly relevant to the aerospace industry. Every pound of weight saved from an aircraft is estimated to save the aircraft’s operator roughly $1 million in operating expenses, primarily fuel, over that aircraft’s lifetime. Smart utilization of 3D woven composite structures in aircraft design can reduce the weight of an aircraft by up to 30 percent, resulting in considerable operational cost savings. Elimination of delamination: Delamination occurs when two or more layers of a 2D woven composite come apart, or delaminate, from each other. Delamination undermines the strength and reliability of the part, which must be replaced to prevent damage and severe safety issues. Delamination is the primary cause of damage to 2D laminated composites. Reduced crack risk: 2D laminated composites are prone to cracking, especially in structures with bends, such as T-shaped structures. Due to curvature limitations in the layers, many 2D shapes have considerable gaps in joints and intersections. These spaces and pockets are often filled with resin, which can crack. Lower production times: 2D composite production is a long and precise process. Numerous layers of 2D material are woven, either individually or in larger format and then cut to size. These layers are then pre-impregnated with certain resins, making them what are known as “prepreg” materials. These materials are then stacked and shaped into the requisite form in a process known as plying. Plying is often done by hand and is expensive and extremely time consuming. The layers are then laminated together in shape by infusion with additional resins — some processes and structures even require the material layers to be stitched together prior to lamination. Finally, the structure is set for a period of time, during which the resins cure. By contrast, 3D weaving of composite structures is simpler, faster, and more cost efficient. Similar to 2D looms, 3D weaving looms weave weft and warp yarns along the X and Y axis. The difference in a 3D loom is that instead of the fabric continuing along the Y axis, it builds upon itself vertically — weft and warp yarns are not only woven together on one plane, but one plane is woven together with the next. By weaving entire structures in 3D, the slow and costly plying process — the longest and most costly portion of manufacturing a 2-D laminated composite structure — is completely eliminated, significantly speeding production and lowering cost. Cost: Utilizing 3D woven composite structures in place of traditional metal or 2D laminated composites can provide cost savings through both the manufacturing process and the product’s operational lifetime. Automated 3D weaving technology and near net shape capabilities reduce direct labor and secondary machining costs. Replacing metal or 2D laminated composites with 3D composites reduces both manufacturing and operational costs. Using polymer composites within aircraft engines has long been a challenge, thanks to the high temperatures and complex geometries involved in aircraft engine manufacture. Polymer composites are desirable, though, because as stated above, the aviation industry is constantly looking to reduce aircraft weight and increase fuel efficiency. Replacing traditional titanium components with carbon fiber composites in large engine parts serves to reduce weight, as these composite components are significantly lighter than comparable components in metal. In addition, composite engine parts reduce the noise level of an aircraft engine. 3D weaving has been particularly successful in advancing aviation heat shield technology. Thermal protection systems (TPS) are mission-critical components in space exploration vehicles. The ability to vary yarn types, density, thickness, and width, as well as resin type, allows for the creation of a fully customizable TPS to fit specific mission needs. Quartz compression pads, for example, have been woven by BRM for the Orion capsule in order to ensure structural strength during launch and heat resistance during re-entry. Additionally, NASA’s Heatshield for Extreme Entry Environment Technology (HEEET) program is developing a carbon TPS for extreme entries, intended to be capable of surviving the challenging environments of Saturn or Venus. Both these technologies are being developed through extensive additional research, but both rely on the basic principles and strengths of 3D weaving. 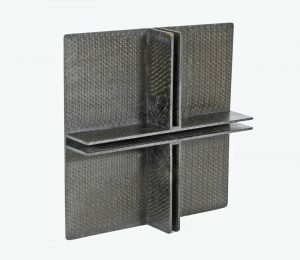 Along with thick panels and engine parts, 3D woven components also function well in joining two structures together. Because of the nature of the 3D weave, strength and support is translated in all three dimensions, thus enabling the join to reinforce the strength along the load paths of the sub-structures being joined together. These 3D woven shapes for joining can be tailored to suit the architecture of the structure itself, as well as the sub-components being joined. Editor’s Note: Mark Harries is marketing executive at Bally Ribbon Mills, Bally, Pa. He is a 4th generation owner and has been with the company for 16 years. An expert in digital marketing, Harries holds a MBA from Lehigh University and a BA from Colby College.